for small to medium broadband service providers since 1980. Voice: Online CDR presentment, phone number management, switch and device provisioning via flexible API’s. Video: IPTV, Digital, analog, conditional access, and DVB with support for PPV, IPPV, VOD and SVOD. Data: Direct DOCSIS provisioning, and Wireless. Integration partner interfaces for modem, Email, FTP and Web. Gateways: Direct FTTX and Residential Gateway management. GLDS and its products are the result of real-world operations experience beginning in 1963. This expertise allows us to develop software specifically to meet the business needs of broadband operators. Ongoing development incorporates the most current engineering innovations, changing regulatory requirements, and direct input from our family of customers. 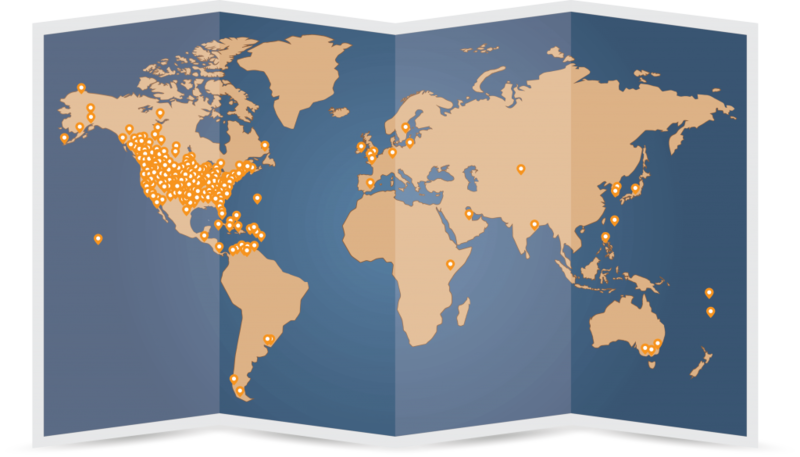 Since 1980, GLDS has installed its solutions with more than 800 operators spanning 45 countries on 5 continents. We’ve also placed solutions in 49 U.S. States – we’re missing Delaware in case you know someone. Our staff travels globally to help customers everywhere meet their billing, customer management, and provisioning requirements.